Innovative technology, special features and user-friendly controls for optimal washing and drying results, extra fabric care, and ease-of-use through automatic settings. Enjoy better results, faster. The 45 Minute program washes and dries 1 kg of laundry in just 45 minutes, providing the excellent results you deserve, in less time. SoftMove technology provides a gentle drum motion during cycles, ensuring extra care for your delicate items. Customize the drying cycles of your Washer Dryer with the a set of versatile drying options. The brushless SenseInverter motor is highly energy efficient, allowing saving also during washing and drying. 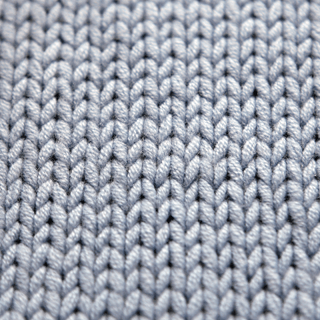 Ensure your woolly items receive all the care you deserve, with the Wool program. The Intensive Rinse cycle provides ideal care for your laundry, while effectively removing stains. The Wash&Dry feature allows you to enjoy clean, dry clothes, using a single appliance. The Washer Dryer's noise-level, measured in decibels. Drum rotations, or spins, per minute (rpm). The faster the spins, the drier the clothes when taken out of the Washer Dryer. This Whirlpool Washer Dryer features a 1200 rounds per minute spin speed. The Washer Dryer's energy rating. The higher the rating, the higher the energy-efficiency of the product. This Whirlpool Dryer is an Energy Class B appliance. The capacity of the Washer Dryer's drum, measured in Kilograms. With its 7kg wash capacity, this Whirlpool Dryer provides all the space you need for your laundry. 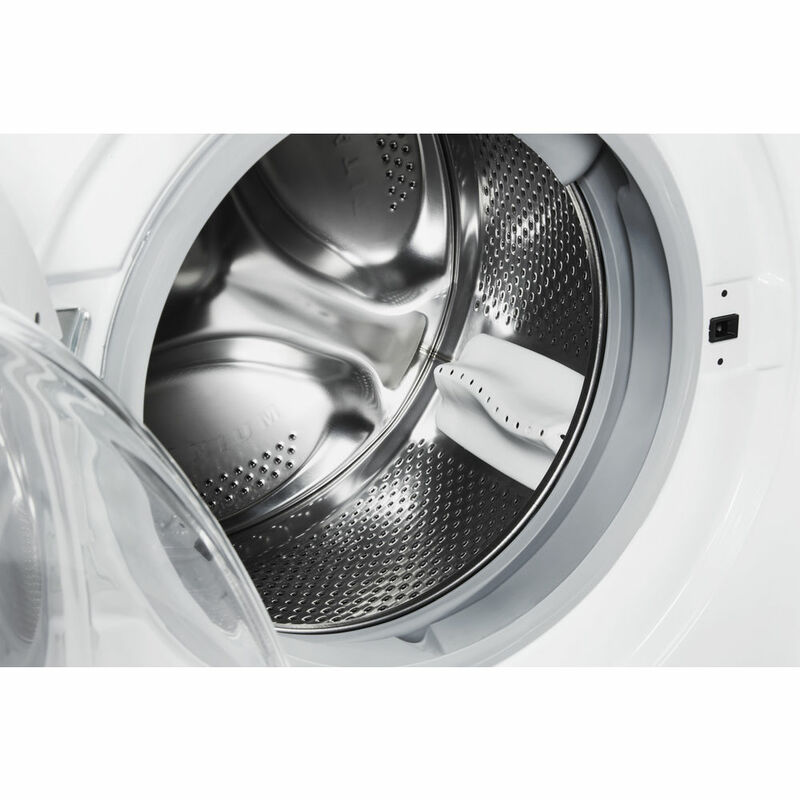 With its 5kg drum capacity, this Whirlpool Dryer provides all the space you need for your laundry. 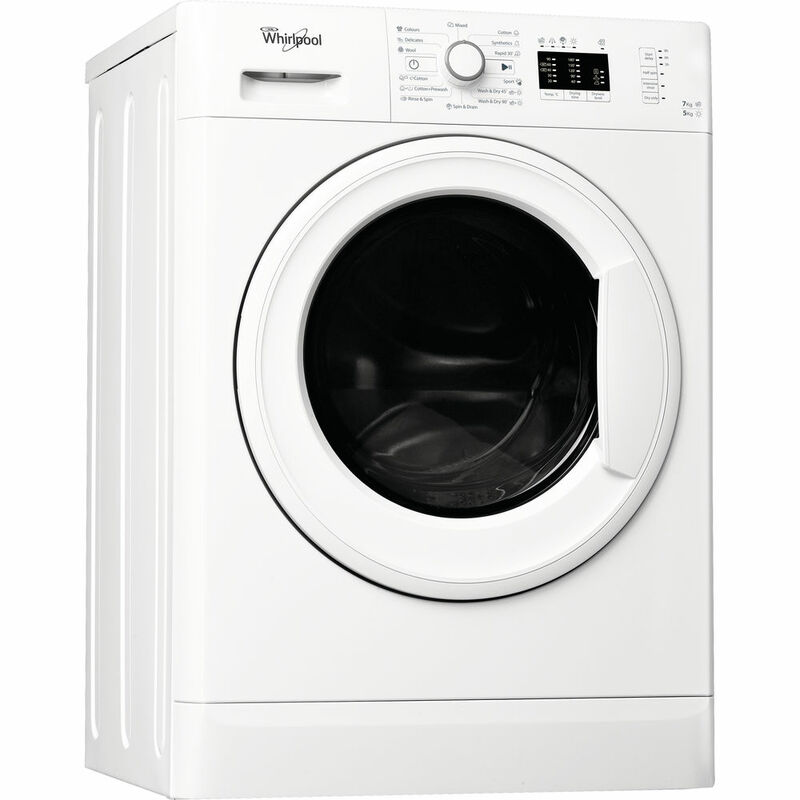 This Whirlpool freestanding Washer Dryer features: white color.